In the 19th century, Barcelona was still experiencing the consequences of the Spanish Succession War, the most obvious of which was the maintenance of the walls that surrounded the city and prevented its growth, confining the city in the present district of Ciutat Vella. At the end of the 18th century – early 19th century Barcelona witnessed strong industrial growth caused primarily by a rise in textile fabrics and trade with America or Indian textiles. The growth of Barcelona and its transformation into a modern town as the major cities in Europe became involved the demolition of the walls. A request made repeatedly by the locals under the cry Bring Down the Walls! that became a reality in 1843. By royal decree, the demolition of the walls was authorized and the engineer Ildefons Cerdà was commissioned to make a topographical study of the land and proposed an expansion of the city, the Cerdà Plan or Eixample. Outside of the walls, the extending land was in the hands of the military, where until that moment it was forbidden to build. Beyond this land appeared small independent towns that had become centres for these first industry settlements. 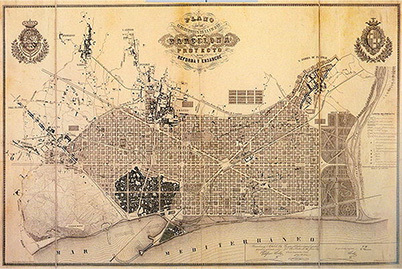 1859 saw the launch of the Plan Cerdà or Eixample that, in the coming years, would annex the villages that were around the city and that today represent the different districts of Barcelona. In fact, the transformation of the city would also result in the celebration of the Universal Exposition of 1888, which was to have important consequences for the urban, cultural and architectural fields. The new bourgeoisie had concerns, a new national feeling and the need to assert their social status. The Universal Exposition was an international showcase and therefore the Barcelona society wanted to project a modern urbanite Barcelona. The loss of the Spanish colonies in 1898 made many Catalans who were doing business in America come back to Barcelona, wealthier and with new ideas. Therefore, an accumulation of situations generated the new Barcelona. The cultural transformation of the city was through the Renaixença (Renaissance) movement that aimed to revive and restore Catalan history. This cultural movement, mainly literary, gradually came to be reflected in all artistic disciplines through what today is known as Modernism. The Cerdà Plan included the implementation of parallel and perpendicular streets to the sea that formed a group of grids with broad diagonal avenues that cut the projected grid. These diagonal avenues converged at the Plaza de las Glorias, where Cerdà projected the centre of the city. One of these avenues is the Diagonal one, where the Palace is situated. The first section of this street started in 1884 with the construction of the streets between Passeig de Gràcia and Pau Claris, current site of the future Baró of Quadras Palace. The reason for choosing this section has simple reasoning behind it: it was the highest part of the right side of the Eixample. The Baron owned a building in Diagonal Avenue between the Rosselló and Pau Claris streets. A classical building that he wanted to remodel to show off the new title of Baron that had been granted to him. The chosen architect was Josep Puig I Cadafalch. The Quadras family made its fortune in the textile industry. 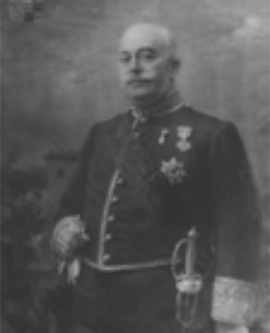 The Baron’s father, José Quadras i Prim was born in Vic in 1822, and married Rosa M. (Marieta) Feliu i Coma, who was born in Calella in 1835. José de Quadras was the son of Pere Quadras, an important sculptor based in the city of Vic. As a result of the marriage, he became the successor of the spinned worsted factory located in Sabadell: The Tomàs Comas i Miró society, immediately changed its corporate name to Quadras, Feliu i Companyia. It was one of the most important staple wool factories in Catalonia and experienced its maximum growth as a consequence of WWI. The couple had three children: Manuel, Antonio and Enriqueta Quadras i Feliu. Manuel Quadras i Feliu was the eldest son and heir and therefore the I Baron of Quadras. Along with his brother, they were the successors of the spinned worsted factory. Manuel was married to Joana Veiret Xipell (1862-1939) and had two children: Josep Quadras Veiret (II Baron of Quadras) and Maria Quadras Veiret. 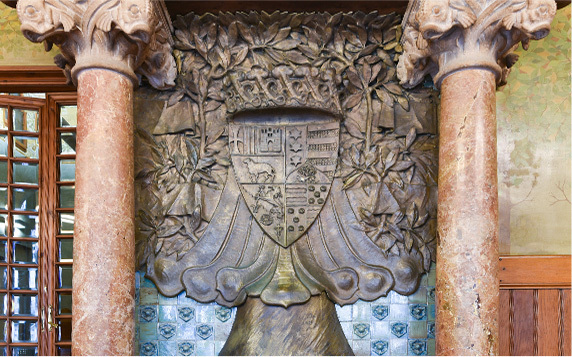 Manuel became Baron in 1900, a title awarded by the Regent Queen Maria Cristina in memory of a former noble title of the family dating from 1378.
commissioned the remodelling of a building that he owned in Barcelona, in order to turn it into the Barony de Quadras Palace. 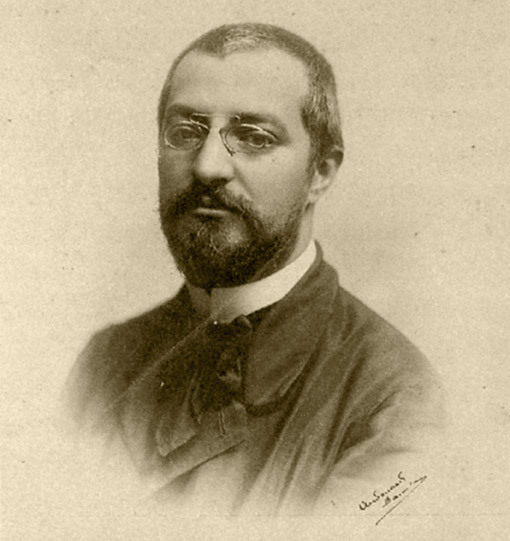 Josep Puig i Cadafalch was born in Mataró on October 17, 1867 and died in Barcelona in 1956. He was an architect, art historian and Catalan politician. He went to a great effort to defend his country in order to see it restored to its greatest splendour once again. He studied languages and the legal system of the Middle Ages in Catalonia. He specialised in Romanesque art and published works on the matter which brought him international fame. He promoted the excavations of Empúries from 1908 onwards. 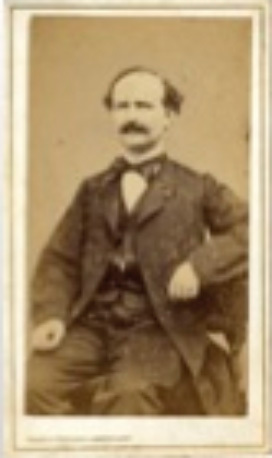 Son of Joan Puig i Bruguera and Teresa Cadafalch i Borgunyó, he studied at the School of Santa Anna dels Escolapis in Mataró. The family produced fabrics in Mataró. From a young age, he participated in literary collaborations where his patriotic feeling could already be appreciated. Puig i Cadafalch interpreted the need to be familiar with the history of our country in order to create a national narrative which could stand up against the current centralism. Puig i Cadafalch’s interest in history, the arts and the sciences lead him, in 1883, to study architecture at the Provincial School of Architecture. At the same time, he studied Physical Chemistry at the University of Barcelona. As a student, he became involved in politics and went on to be part of the Catalanist School, the student section of the Valentí Almirall Catalan Centre. There, he met important figures in the world of political Catalanism such as Enric Prat de la Riba and Francesc Cambó. He graduated in Physical Sciences and Mathematics in 1889 in Madrid, and in 1891 he finished his architecture studies in Barcelona. He was highly admired by the director of the school, Elies Rogent and his professor, Lluís Domènech i Montaner. The Baron of Quadras Palace is a building remodelled by Josep Puig i Cadafalch, commissioned by the Baron of Quadras. The work on the remodelling of the palace started in 1902 as is seen in the architect’s first blueprints and it was completed in 1906. The work is a remodelling since it was an existing building. From the documents we know that it is a four-story building built by a master builder in 1882. On the 15th of June 1884 it was purchased by José Quadras i Prim, the father of the Baron, the deeds of sale explain that “the house is comprised of a ground floor, mezzanine, four floors and terraces, with a garden on the back side, surrounded by a wall and an iron door”. The original building faced onto Rosselló street and the back façade was intended as a garden. In fact, it was one of the first buildings on the Diagonal, with a narrow front of 12 meters. The Baron wanted to give the building a striking appearance that would represent his new noble title. 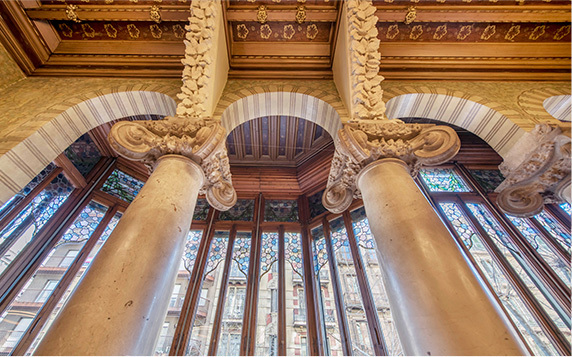 The building makes us think of a Gothic Catalan Palace where the use of gothic sculptures is repeated with a profusion of colour ceramics with a clear Islamic influence. 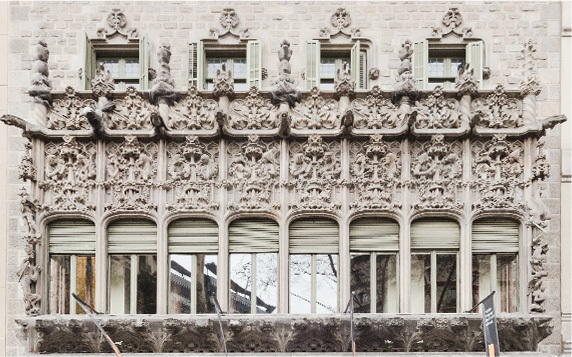 Puig i Cadafalch remodelled the main façade and moved it to the Diagonal, leaving the Rosselló one for renters. The Barons occupied the main floor and the rest of the floors were intended to house other families of renters. The palace consists of a ground floor lobby where the barons and the rest of the neighbours’ area is clearly differentiated, a basement allocated to service areas such as the charcoal room, woodshed; a main floor with four floors above and an attic. According to the original blueprints, Puig i Cadafalch projected a noble staircase that only gave access to the main floor, a renter’s staircase and a service one, in the blueprints it is also possible to see an elevator placed in the centre of the renter’s staircase. The Palace has two completely different façades, in two different styles. The Diagonal façade built with sculpted stone connects with the previous houses, and the one in Rosselló is a simple arrangement of the one that already existed, following the typology of Eixample façades. The main façade of the building faces onto Diagonal street, it is a mixture of styles with the highlighted plateresc long podium with eight windows which, above, has a flamboyant balcony with pinnacles and braces with four doors. The Northern European style of the mansards on the roof and the cantilever below are also of note. It is inspired by the organizational system of Gothic palaces, with a central courtyard giving access to the main floor. 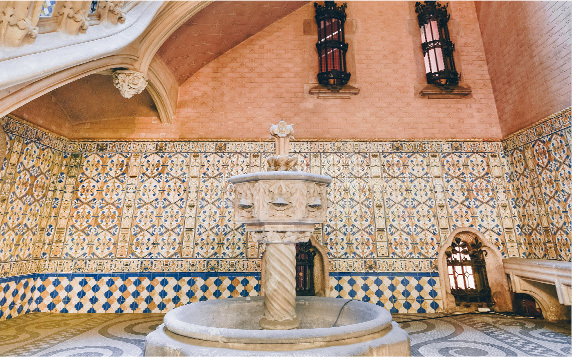 The lobby floors are made of Roman mosaics attributed to Mario Maragliano and decorated with black and white borders, allowing the entry of carriages or cars. The lobby ceramic banisters have an Andalusian flavour, more typical of Andalusian patios. The interiors convey a Muslim feel. Before accessing the main staircase, there is the central patio under three arches with stone columns and capitals with floral ornaments. At the centre of the courtyard there is a fountain, typical of the Andalusian courtyards, and a skylight that combines glass and stained glass that allows natural light into the house. The main room is the living room, overlooking Diagonal, the main avenue. The room consists of a central hall and columns that separate a second space forming a gallery. From the corner you can see the Sant Jordi and Casa de les Punxes. The marquetry parquet floor also highlights the floral ceramic walls. The columns are made of marble with bases and capitals decorated with floral motifs. The columns surrounding the room are separated by arches of Arabic style. The coffered wooden ceiling is polychromated, the corbels supporting the beams are represented as Grifols. The windows of the gallery are framed in wood, and the base is decorated with Tiffany floral stained glass. The space comprises a living room with columns that form another gallery. The stained glass highlights, along with the brass sliding door with acanthus leaves, the fireplace and the woodshed, which is accessed through a door hidden behind it. The floor is inlaid parquet. The bulging columns with Ionic capitals are of note. In vintage photographs we can see how these columns were adorned with garlands of metal flowers that were used as electric lamps. Curtains and upholstery separate the different parts of the room. The walls have wooden banisters and are painted with trees, giving the appearance of a forest. In antique photographs we can see a curtain separating the dining room itself, and an appendix for a small piano. The fireplace, between two columns with curious capitals of fantastical fishes, is the most prominent element with an ostentatious family shield. Behind it is the woodshed. In the room, there are two doors, one decorated with brass flowers, which could have provided access to the master bedroom next to the bathroom. And the other one that provided access to the corridor and probably to the bathroom. 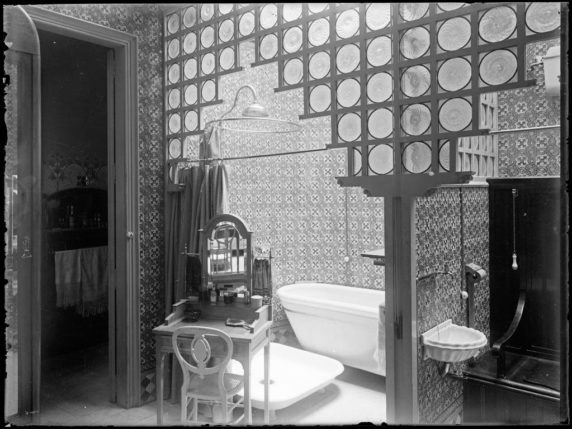 The bathroom in the palace nowadays does not exist, since the house has had different uses. In fact, it was one of the first 'bathrooms' in the city as we understand them today. With a bath, sink, dresser and a wooden toilet. The walls were tiled from the ground to the ceiling and featured stained glass made of glass spheres. Initially located in the basement, the kitchen was transformed into offices when the Museum of Music was installed in the building. In 1972 the City Council acquired the palace to the who installed the Museum of Music inside. The Museum was recently transferred to the Auditorium, and Casa Asia moved into the building after a major reform that took place in 2003. 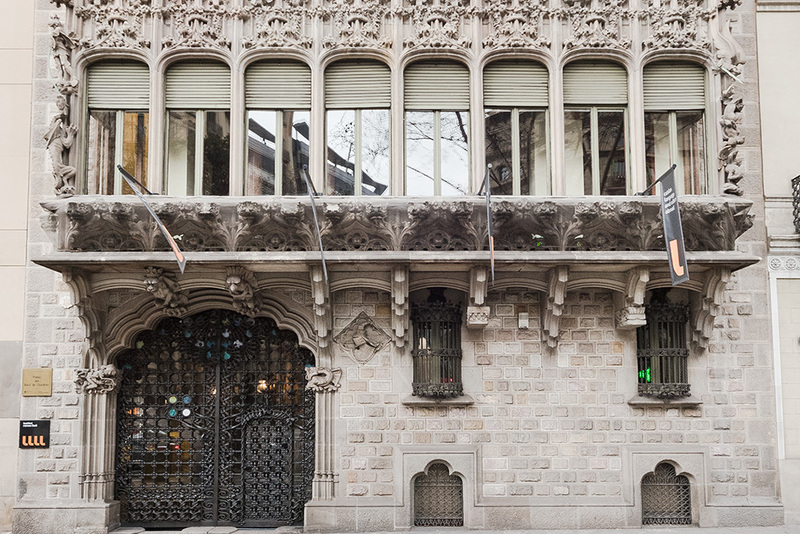 From 2013 onwards it has been the headquarters of the Institut Ramon Llull. What is the Institut Ramon Llull at the moment? It’s currently the headquarters of the Institut Ramon Llull. The Ramon Llull Institute is a public organization that aims to promote the Catalan language and culture internationally. In academia, translating literature and thoughts, and the Catalan cultural production in other areas such as visual arts, design, architecture, performing arts, music and cinema. The Ramon Llull Institute promotes artistic and cultural exchanges abroad and supports language studies at universities. The Baron de Quadras Palace, listed as an Historic Artistic Monument of National Interest, has been the headquarters of the Institut Ramon Llull since 2013.